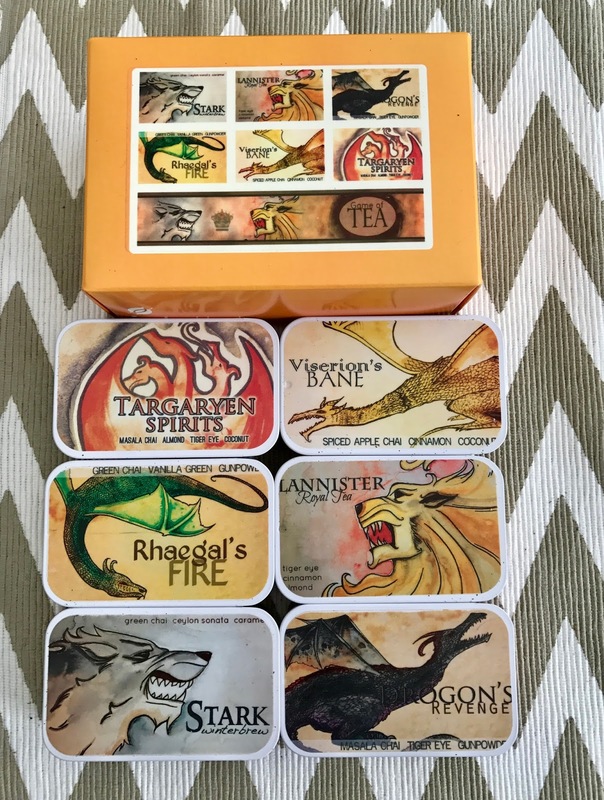 Happiness in a Cup and some of the coolest gifts I've ever seen! 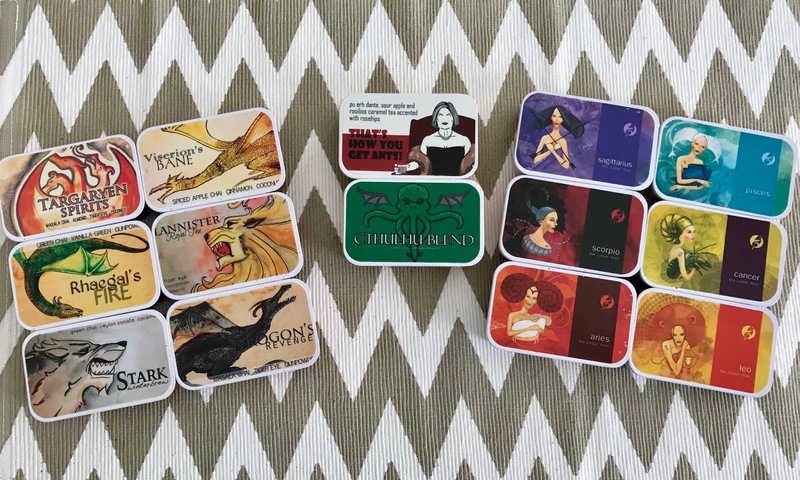 This has been the perfect year to indulge in tea, both hot and cold. 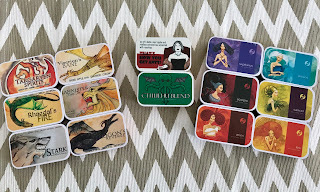 I became a fan of Adagio Teas last year and I cannot wait to share with you some of the coolest products that I came across (had no idea they carried) but am now certainly a forever fan of theirs because of them! 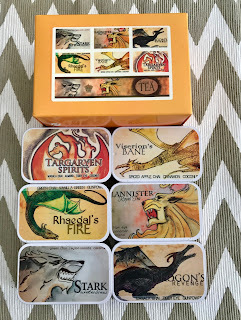 We are just going to start off with the fact that I do like to binge on some good film and shows now and again and one of my absolute favorites has been Game of Thrones. I mean...the season premiere is right around the corner. 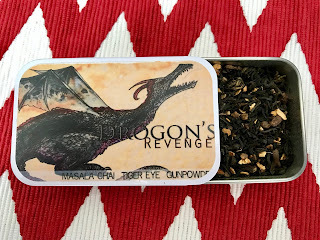 My Khal & I were so grateful for the Adagio Game of Tea Blends featuring the Drogon's Revenge when we were having some pollen issues these past weeks because not only was it delightful and tasty, but the gunpowder really made us feel like we were cured of our ailments and ready to take on Kings Landing! Okay, in all honesty, I am not sure if we could taste gunpowder...but the tea does taste seriously good. 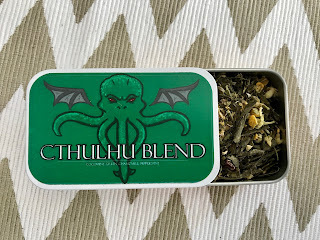 Other fandom and novely blends that I was so excited to try were the Zodiac Blends including the Taurus Tea which my daughter just loved since it was her birthday last month. My personal favorite was the Malory Archer blend and the Cthulhu found in the Fandom Sets and Fandom Samplers. After many unexpected set-backs, I am now in the thick of my dissertation work for my PhD. My data collection has started for my PhD dissertation project & it has brought forth many feelings. Many, many feelings. This whole process has been a little bit of a rollercoaster. 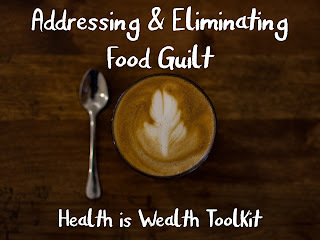 Someday I will share with you all the story of how I became a Dietitian but in a nutshell, I am non-traditional student. I have been a parent the entire time I have pursued my education. I received my Associate of Science & Bachelor of Science & Dietetic Internship to become a Registered Dietitian from the time my oldest daughter was 1 1/2 years old until she was 8. I had my second daughter during that time and she was 3 1/2 when I finished the DI and became a RD. The internship counted towards half of a Master of Arts degree in Dietetics, so I finished that. And I thought I as finished. 2017 has arrived. I am sure many of you have been bombarded by ads and commercials from companies hoping to monetize on the "New Year, New You" hope and drive that comes with the annual dropping of the ball. I know there are also many people out there who will tell you that making resolutions is useless and will just set you up for failure. I am not one of those people. I think making an effort to make any positive changes in your life is absolutely fantastic. 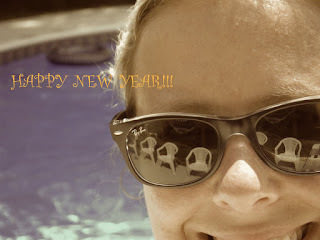 I think it is wonderful no matter what time of the year you do it! New Year's is just that time of year when people take a minute to think about themselves and what they would like to accomplish for the upcoming 365 days and believe me...I am a firm believer that people (including myself) do not take enough time to really sit and ponder what we can do to make ourselves better. We often put to much pressure on ourselves trying to do things to make things better for other people, but can forget that we need goals, hope, and certainly attention and love for ourselves from ourselves.